Are you interested in getting more involved in Clinton School? Click here for a list of open positions, their descriptions and information on nominating yourself or a friend. The deadline is Wednesday, April 24th. 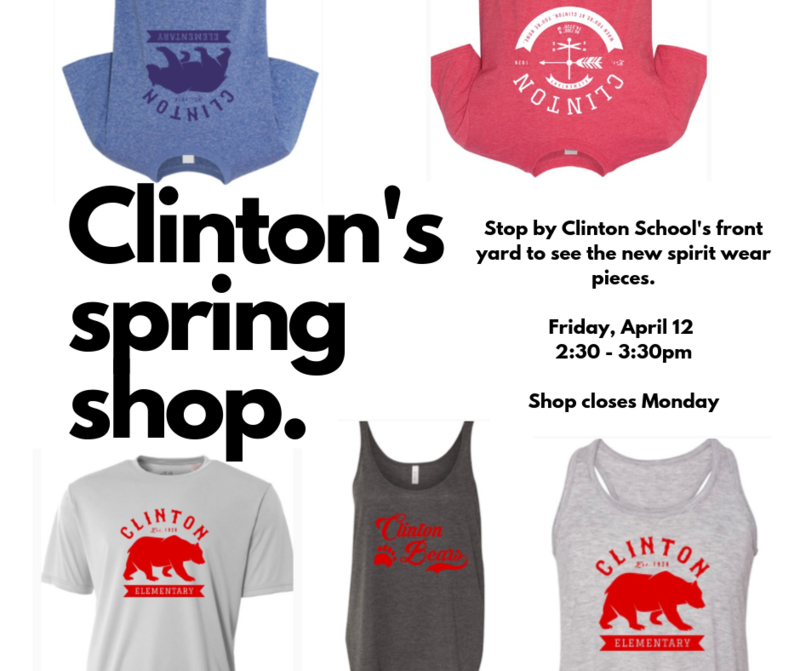 Visit Varsity Hues to shop the spring store, or text the word, "Clinton" to 21000, and a message with a link to purchase Clinton spirit wear will be sent directly to your phone. The School Store closes APRIL 15th, 2019 - so place your orders today! The sun was shining and it was a beautiful spring morning when right on time, the Versify Tour bus pulled up in front of school. 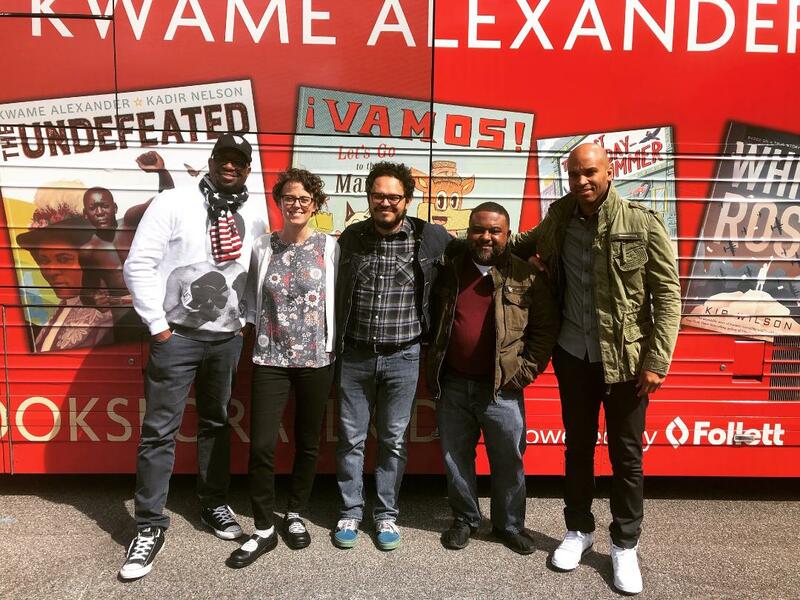 Authors Kwame Alexander, Kadir Nelson, Lamar Giles and Raúl the Third were greeted by the students of Clinton in a most excited manner. It felt like we were part of American Idol or a 1960's Beatles tour. It was a magical moment where authors were greeted like rock stars. Today was National School Librarian Day and the students excitement was a gift I will not forget. If your student came home and really wanted to own a piece of today, there are still some books available and you may still ORDER. Ms. Minchello has spent her lifetime in education as a teacher, counselor and principal, and is excited to work with Clinton students, teachers and staff. Click here for a message from Ms. Michello, and don't forget to give her a warm welcome when you see her at school. Tip of the Week: If you want your child to share their day, share yours! 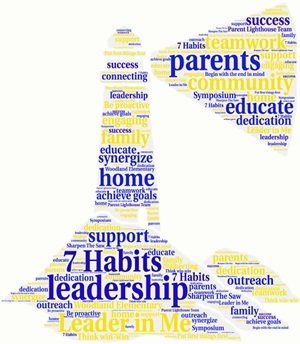 Learn more about Leader in Me and the 7 Habits here! Our website is under construction so please check back often. We are working hard to add information that will help our families stay connected with the PTA and school community. In the meantime, please register below to be sure you have access to information as it becomes available. If you need to make any changes to your profile information, please click on "My Account" in the menu above, then "My Forms/Paperwork" and update your Family Information. Here are some easy ways to help you stay in the loop at Clinton School! If you haven’t done so already, please sign up for our weekly emails, and follow us on Facebook to stay in the know! Parents and guardians can also ask to join the Clinton Elementary Families Facebook page, a group for current Clinton Elementary School families to share information, ask questions, learn more about school events and programs, and celebrate our successes. Please review the calendar and plan to participate in events such as our Winter Craft Fair, Clinton School Show and Boots and Bling! The best way to meet people and feel part of our community is to volunteer for a committee or activity. If you have questions, please do not hesitate to contact our PTA by using the form under the Volunteer section. By joining the PTA, you help us meet our school's needs that are outside the scope of its budget. You also get great discounts, locally and nationally. When you go a step further and volunteer to help with events—or join our board— you set a fine example for our students to follow, and greatly encourage our teachers and staff.